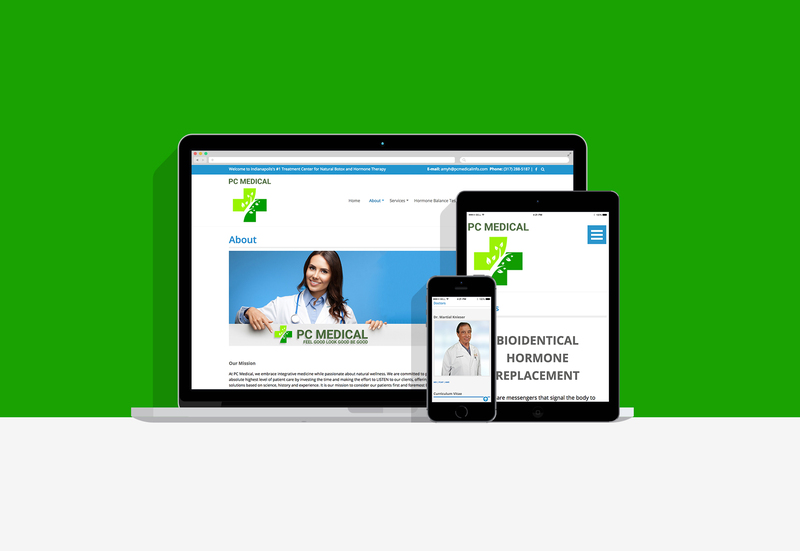 At Creativeworks-Design, we had the pleasure to take on an interesting website development and branding project with local Indianapolis concierge medical facility PC Medical (Preventative Care Medical). Taking their company appearance online from a 1 start to 5 star has really increased their viewers and potential clients interested in their products and services. Prior to working with us, their website presence turned away potential clients from stopping into their medical office, but now they are adding new clients everyday!